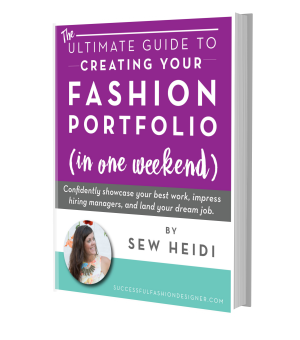 CAN YOU INCLUDE COMPANY OR CLIENT WORK IN YOUR FASHION PORTFOLIO? 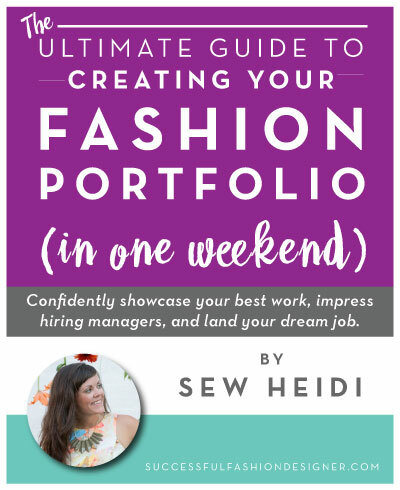 Is it ok to include company or client work in your fashion portfolio? 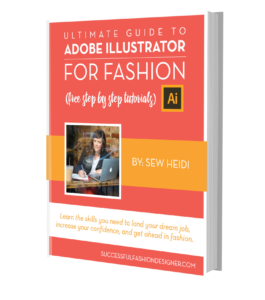 I covered this in some detail in the Ultimate Guide to Being a Freelance Fashion Designer, so some of this will be overlap, but we’ll go into more depth in this book. 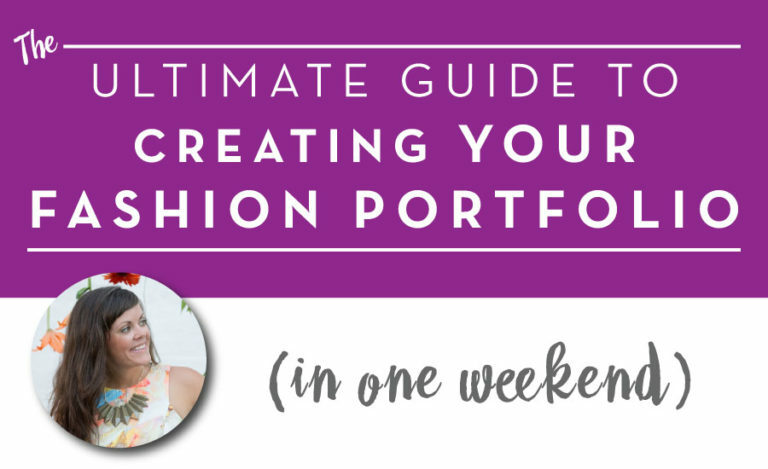 There are a few situations you may encounter when it comes to including company or client work in your fashion portfolio. We’ll address each one at a time. First, the obligatory disclaimer: I am not a lawyer and I cannot give you legal advice. Everything here is my opinion and not to be taken as fact. To be blunt with you, I never (read: refuse to) sign these. Most brands that want you to sign these are trying to protect something that’s not even protectable. Unless they’re really developing proprietary fabrics, cutting edge technology, or something else out of the box, as we all know, it’s pretty hard to copyright / protect fashion. I’m not in the business of creating product to sell, I’m in the business of design and development. I have no interest in stealing or sharing your idea before it’s public. This industry is small and we talk. I’d be out of business in no time. That said, I do know fashion designers who do sign these. I may be harsh in my attitude, so this is something up to you. The point of this book is not to tell you whether to sign them or not. All I advise is that if / when you do sign, make sure you understand what you are signing and giving up. If it’s just that you can’t publicly share or talk about the idea until it’s gone to market? That’s fair game. But if it’s that you can never publicly share the designs or say you worked for the brand? That seems pretty stringent. Now, if you already signed something, carefully evaluate the document to see what your rights are. Chances are, you can’t share any work until it’s publicly available in the market. If you need further clarification, you can always consult a lawyer in extreme circumstances. Bottom line: don’t share things that aren’t yet publicly available in the market, and if you signed any documents or are unsure, ask for explicit permission about what you can / cannot share. What are the ethics around sharing company or client tech packs / graded specs / other technical details in your fashion portfolio? This is a fuzzy area since this information is never released to the general public. Unlike a design, which ultimately is taken to market and is no longer a secret, tech packs and graded specs can be considered proprietary information. Ask for permission. I have never done this, and my bet is that most brands will say no…which is why I would lean towards option two. Create a sample tech pack / graded spec to show you know how to do this.Bonus Points: Take it a step further by creating a sample tech pack using a garment from your own closet. This way, you can take photos and do “mockup” proto / construction comments. This shows you know how to use a TP as a tool to communicate changes to the factory (more on this when we get to tech designer portfolios). What if the original work wasn’t 100% self generated (ie licensed / private label )? For reference, here’s a great write up on what private label means from industry expert Kathleen Fasanella. There’s a difference between trying to pass something off as your own and the obvious situation where you didn’t create the work. If you’ve done license work for collegiate or Disney, it’s most likely going to be pretty obvious that you didn’t create the college logos or the emblem of Mickey Mouse. If you’ve done license work for Coach where you placed their prints on new products, it could be misleading and people may think that you created the prints. Bottom line: Always lean towards being clear and honest with your presentation. By noting under the project name that it’s “License Work”, many brands will have a general understanding of what that means. As a designer, a lot of the work we do will be done as a team. Even if you came up with the original concept, there were probably meetings (with clients, executives, buyers, etc) where revisions were made and the design morphed into something that differs from your original concept. If you’re working as an assistant or intern, there’s a bigger chance that a lot of the work was done as a team. 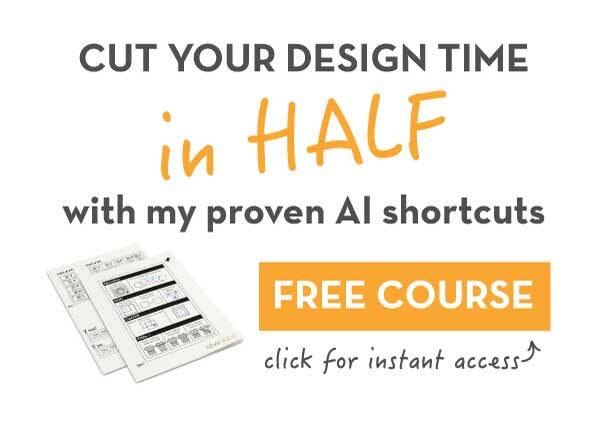 You may have only been responsible for interpreting hand sketches into Illustrator flats, or gathering initial inspiration from Pinterest while the design director really drove the creative vision. As much as this can feel like a tricky, grey area, it doesn’t have to be. There are simple ways you can present this work in your fashion portfolio with a simple disclaimer. Depending on your role in the project and what you feel comfortable presenting (accurate self assessment), you may or may not need to include a disclaimer. If you interpreted someone else’s hand sketches into digital flats and laid out the presentation boards? Include this work in your portfolio, disclaimer probably necessary. If you were given 3 “inspirational” garments and told to “create a few options based off these”? Include the work in your portfolio, disclaimer probably not necessary. Use your best judgment and do what feels honest and genuine to you. Brands understand, especially when you are starting out as an assistant or intern, that you aren’t going to have designed the entire collection. They’ll be glad to see you played a role and understand the process, but they don’t expect you to have done it all.